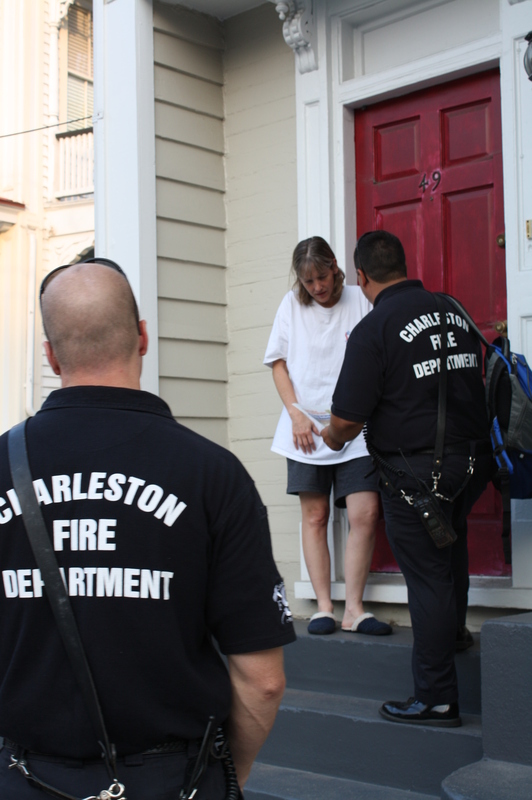 Charleston Fire Department firefighters understand that a significant fire event can drastically affect the immediate community. Team members that responded to the emergency return to the neighborhood within 3-6 days of the incident. A door-to-door canvas is conducted to answer questions from citizens, provide fire safety information, and try to improve safety in the community. Additionally, free smoke alarms and batteries are installed during the canvas.